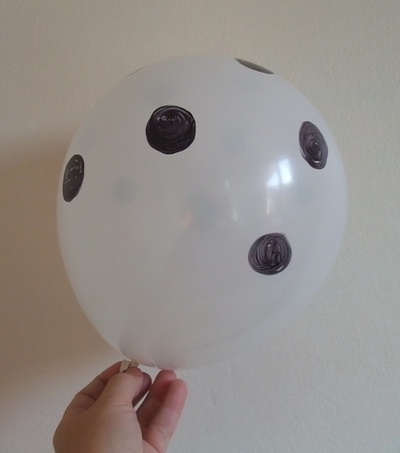 This is an easy inexpensive way to add some festive balloons to your Halloween decorations. 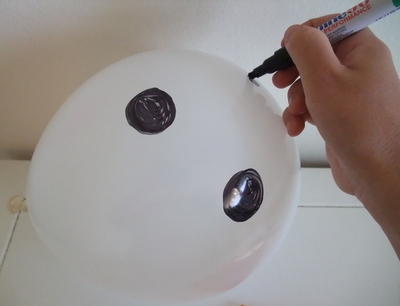 Blow balloons and decorate them with patterns using black marker. 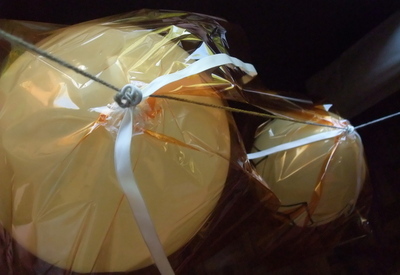 Cut hole in cellophane and weave top of balloon through. 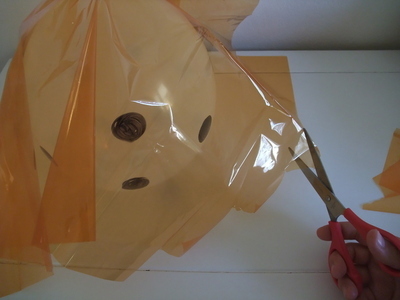 Secure with sticky tape. Cut jagged pattern on cellophane. 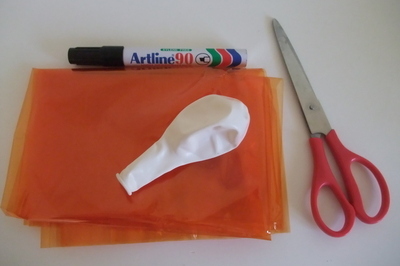 Connect balloons in a row with string or wool and tie ribbon on top if you like. Hang them in a room and enjoy!